It’s that time of year to cozy up with popcorn and hot cocoa and tune in for a Christmas movie marathon. According to new data from YouGov Omnibus, three-quarters (75%) of Americans say they enjoy watching Christmas movies. Women (80%) and parents of children under 18 (81%) are especially likely to say they enjoy doing so. A majority of people (60%) also say that they they typically watch at least one Christmas movie with their family during the holiday season. When asked about their favorite Christmas movie or TV special, It’s a Wonderful Life and A Christmas Story were tied, with 9% voting for each. Other popular choices include Home Alone (7%), National Lampoon’s Christmas Vacation (7%), and Elf (5%). 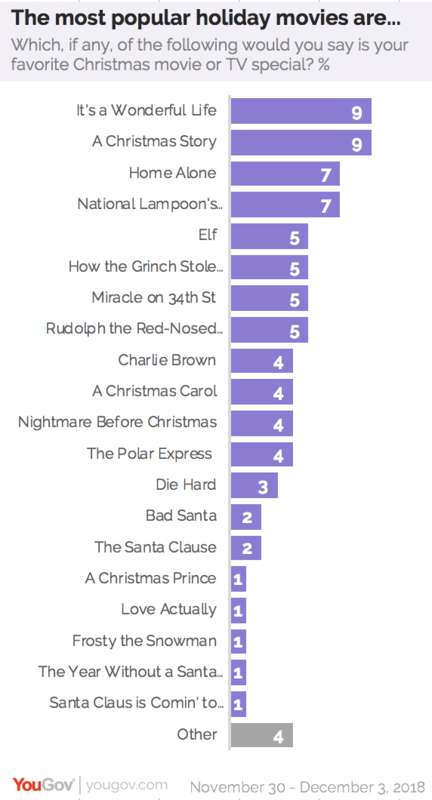 How the Grinch Stole Christmas (5%), Miracle on 34th Street (5%), and Rudolph the Red-Nosed Reindeer, (5%) were also popular, coming in ahead of A Charlie Brown Christmas (4%), A Christmas Carol (4%), The Nightmare Before Christmas (4%), and The Polar Express (4%). 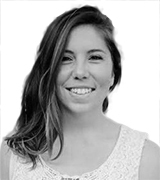 Men are more likely to say A Christmas Story (11%) is their favorite holiday movie, while women are likely (9%) to have It’s a Wonderful Life as their top pick. The top movie amongst millennials aged 18-34 is a tie between Home Alone (9%) and Elf (9%). For Gen X - people aged 35-54 - it’s a tie between A Christmas Story (10%) and National Lampoon’s Christmas Vacation (10%), while baby boomers aged 55 and older are exceptionally likely (16%) to say It’s a Wonderful Life is their top pick. One in ten (11%) Americans say that they don’t have a favorite Christmas movie or TV special. Bah humbug.